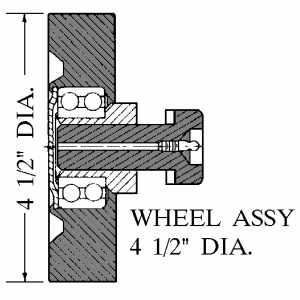 Designed to fit Twin City Trolleys 2T-2000-2SR, 2T-2800-4SR (flangeless wheel) on 2" track. 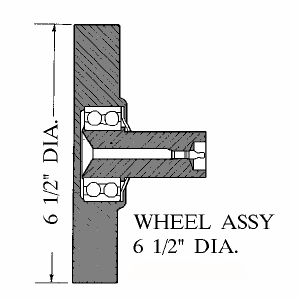 Designed to fit Twin City Trolleys 3T-750-2, 3T-1150-4 (flanged wheel) on 3.25" track. 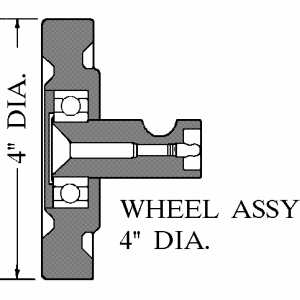 Designed to fit Twin City Trolleys 3T-2700-2SR, 3T-5400-4SR (flangeless wheel) on 3.25" track. 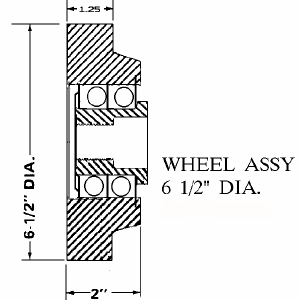 Designed to fit Twin City Trolleys 3T-6600-2SR, 3T-13200-4SR (flangeless wheel) on 3.25" track. 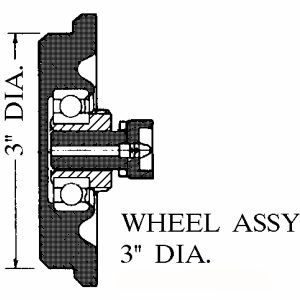 Designed to fit Twin City Trolleys 3T-9000-2SR, 3T-18000-4SR (flangeless wheel) on 3.25" track. Designed to fit Twin City cranes. 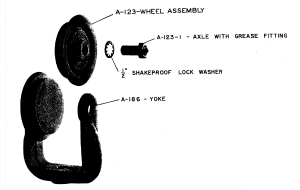 Replacement Parts drive tires are bonded rubber to a cast iron rim or, per customer's specifications. 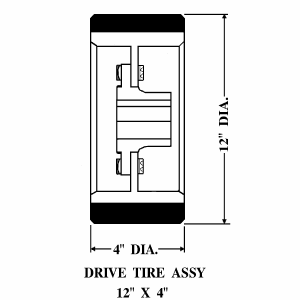 The drive tire hub bores are 1 1/2" and 1 3/8". customer's specifications. 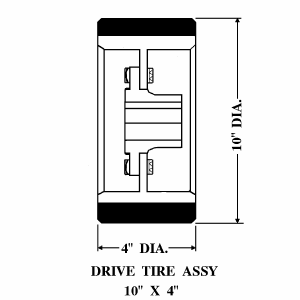 The drive tire hub bores are 1 1/2" and 1 3/8".